We love to share with everyone about our kids and the accomplishments they have. From first words, learning to jump and climb and recently with my nephew going to preschool. As parents is a proud moment to see them grow and learn. 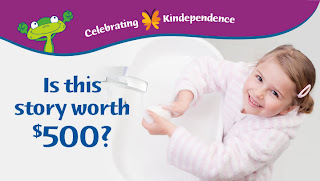 Now its your turn to share a story about your children with Pampers Kandoo for a chance to win great prizes. Families all across the country celebrate Kindependence every day. It’s easy to recognize these little moments of achievement when they come gift-wrapped with a delighted “I can do it myself” attitude. You know the events – sitting on the potty for the first time. Getting into the carseat. Buttering the toast. Setting the table. Sweeping the floor. Putting on jammies or buttoning shorts. 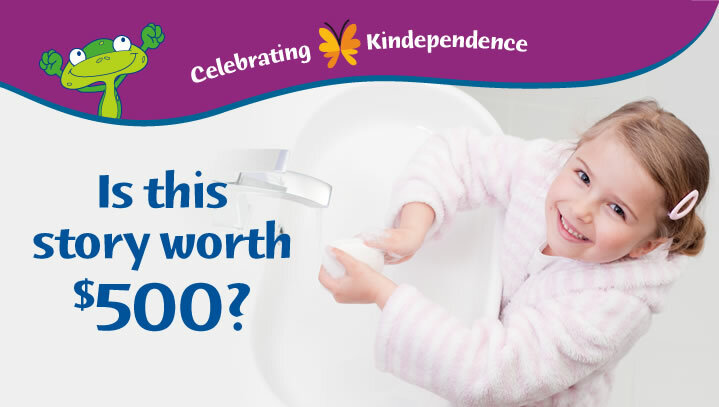 Pampers Kandoo® would like to share in these momentous moments with you - with our “Celebrating Kindependence” Contest (U.S. residents only). Share your story with us for a chance to win. • Deadline for entry. Oct. 14, 2011.